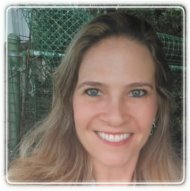 Pembroke Pines Therapist: Jennifer Spinner - Therapist 33029. I work with all ages and backgrounds, individuals, couples, groups, and families. I also work with people who have issues with: grief, loneliness, depression, anxiety, anger, phobias, trauma, personality disorders, organic mental illness, addictions, and relationship problems. CALL 24/7 at (305) 409-0099 for an appointment.